Blacklegged ticks cannot bite through clothing. Because wearing long-sleeved shirts, pants and hats minimize exposed skin this strategy helps prevent bites. Ticks do not jump or fall from trees. Instead, they typically crawl to the edge of a leaf or blade of grass and wait for something to brush against them. Once on clothing, they will search until they find the exposed skin to bite. Many people become infected around their home. Clear away brush and fallen leaves, keep your grass short. 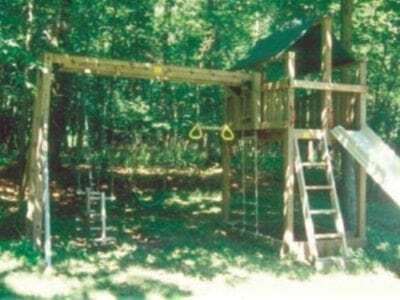 Place lawn furniture and play structures in sunny areas of the yard. Bird feeders and wood piles attract tick-carrying mice so keep them far from the house. 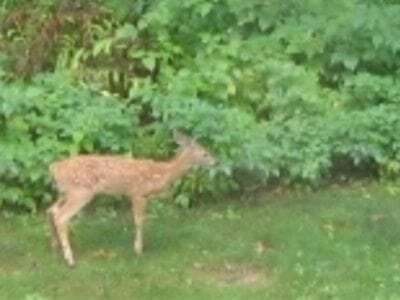 Don’t feed deer or use plants that attract them. Below are a few examples of the plants that attract deer as well as a list of those that do not. Please see the Tick Management Handbook for more information on landscape management and the creation of tick free zones. 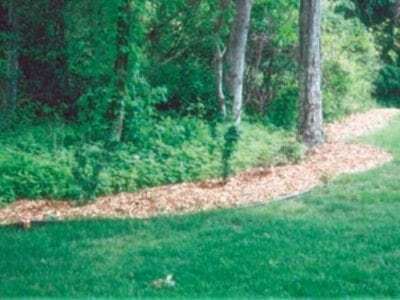 This arrangement puts the person who mows the grass at great risk because they’ll be bumping into the brush where ticks like to hang out. By putting in a buffer zone, you can cut that risk substantially. Just remember to use nonporous materials that don’t hold moisture. Ticks dry out easily so they require a habitat that is moist. They prefer the shade and areas where moisture is trapped. Ticks dehydrate in the sun which can kill them. 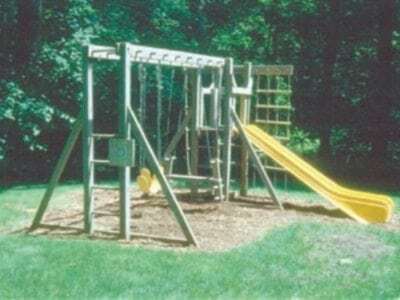 Put play equipment and outdoor furniture in the sun, not the shade. 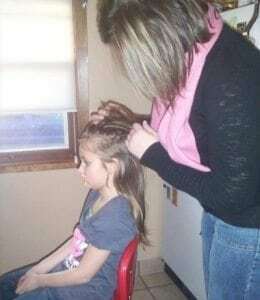 Insecticides and repellents reduce the risk of a tick bite. Insecticides kill ticks; repellents encourage them to leave before biting. You should use both to ensure maximal protection. BioUD is a newer repellent derived from wild tomato plants. A concentration of 7.75% is 2-4 times more active than 98% DEET against black-legged ticks. It can be used on clothing but doesn’t last as long as permethrin. BioUD is available online at www.homs.com. If you have a dog or indoor/outdoor cats be sure to speak to your vet about the most effective options available to protect your pet. It is important to note that protecting your pet against ticks does not protect you against the ticks that they may bring into the home. Check for ticks frequently while in tick habitat and for 1-2 days after potential exposure. Tick checks need to be body-wide. Ideally, you would come in, shower vigorously and then do the check. Studies found that showering within two hours of exposure can reduce the risk of Lyme disease. A CDC study from 2016 found that putting dry clothes in the dryer on high heat for 10 minutes will effectively kill any ticks found on the clothing. Additional time is needed if the clothes are damp. If the clothing needs to be laundered, be sure to wash and dry on the highest heat setting. Tick checks are very effective but they must be done carefully and after each exposure. You also need to remember that your target is very small. If you rush through your check, it’s likely you’ll miss seeing ticks. 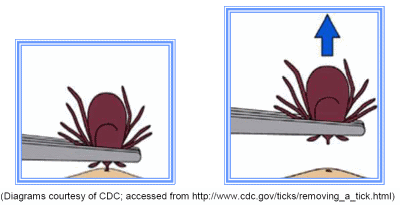 Promptly remove and save attached ticks in a re-sealable container so your doctor can examine them. Pets that go outdoors can bring ticks indoors; check them for ticks and use appropriate, veterinarian-approved tick products. The risk of contracting Lyme disease depends on how long the tick was attached and how likely it is to be infected. 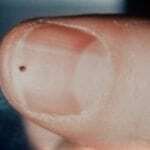 Few infected ticks transmit Lyme in less than 24 hours. 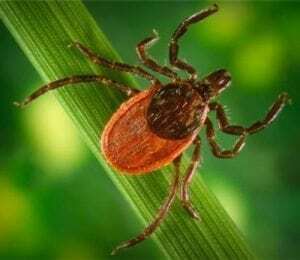 At 48 hours, roughly 15% will transmit; at 60 hours, 50% pass on the infection and when infected ticks feed until full, 94% will transmit Lyme disease. In many high-risk areas, half of the black-legged ticks are infected with Lyme. 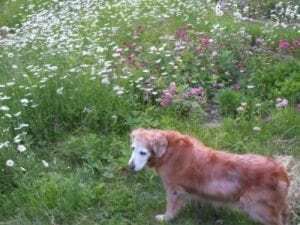 Blacklegged ticks may be infected with other diseases and these infections, often called co-infections, are also transmitted through bites. Anaplasmosis, babesiosis and Powassan disease are known as co-infections; bartonellosis may also be transmitted by ticks. Transmission times for most are unknown, some infections are more rapidly transmitted than Lyme disease. Anaplasmosis is transmitted in less than 24 hours and the transmission of Powassan disease can occur in as little as 15 minutes.